Two summers ago when the idea for the Fond Blanc Project first came to be it was two people sitting on a patio at Panera. Andrew and I had both been to Haiti with our work at Next Step. We were both passionate about the children. And we both had concerns about what they were lacking. When Andrew heard about my nonchalant comment to a friend about moving to Haiti, he asked me to sit down and talk. For the time being, it was a project. It was neither of our full time jobs but something we knew worth dedicating our time to. I don’t think either of us really understood what would come of this side project. With me in the process of moving to Haiti, Andy trying to manage everything stateside, and hundreds of missionary visitors gaining a similar passion for these children, we realized, we had much more on our hands than a little project. We were building a ministry. And with perfect timing came Tia Bunz. Tia is a youth minister who had taken her High School students down to Fond Blanc in 2013 and fallen in love herself with the community. She came home passionate and on fire with a brand new perspective on life. It just so happened (or maybe the Lord planned it this way) that Tia lived in Madison, Wi, right around the corner from Next Step. The moment we asked if she might be interested in “getting together to chat about Fond Blanc” she was on board. She came with a list of ideas, concerns, hopes, and dreams. And she hasn’t stopped putting them into action. She now officially serves as our Executive Director, though that’s a role she’s been filling for quite some time. Soon after the addition of Tia came the addition of an official Board of Trustees, all people who had been to Haiti, or had been so moved by someone else’s story of Haiti that their passion matched ours. Each person who sits on our board has a unique story of how they got there and how they met these 54 crazy children. Every person who sits on this board also has dreams and hopes for these children that extend further than soap and toothpaste. While these tangible needs are easy to fill and exciting to create (like child sponsorships) the heart of everyone who sits around our table is to see these children thrive. While a sponsorship program may fill some immediate needs, it’s also pouring into our long term goals. Goals like community development outside the walls of this orphanage, scholarship and education goals, a new school, and so many ideas we haven’t even told you about yet. With such a long-term vision cast, we ditched the word project. Project implies an end date. It has a temporary feel and our efforts are much more than a quick fix. 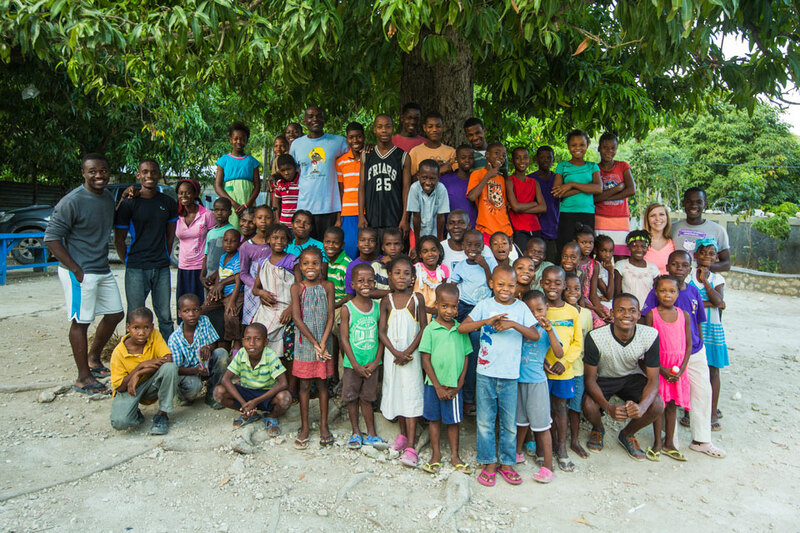 We desire to partner with our Haitian friends here to build a foundation on which they can stand for years to come. A foundation that will last even if every American leaves. When I think about launching the Child Sponsorship program, our new website, and this overall concept of a Foundation, my heart becomes overwhelmed. I think back to the sleepless nights when all I could talk to God about was Haiti and Nixon and what I supposed to do next. So much has happened in these two years. From lunches at Panera, to dinners at people’s homes, to conferences calls from Haiti it’s amazing to see how God has weaved it all together. I cannot imagine what is to come. If I were you, I’d stick around to find out.